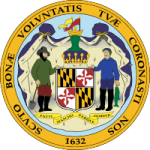 The family law of Maryland outlines in detail the minor and major concerns in terms of child support. It brings everything to light while it explains circumstances that may come up in a child support case. This helps the courts and child support officials to settle disputes and make a ruling in terms of how much each parent, or the noncustodial parent, should contribute to the financial support of their children.